Massive 3000-gallon jellyfish aquarium - REEF AQUARIA DESIGNREEF AQUARIA DESIGN | Every great room deserves a great aquarium. 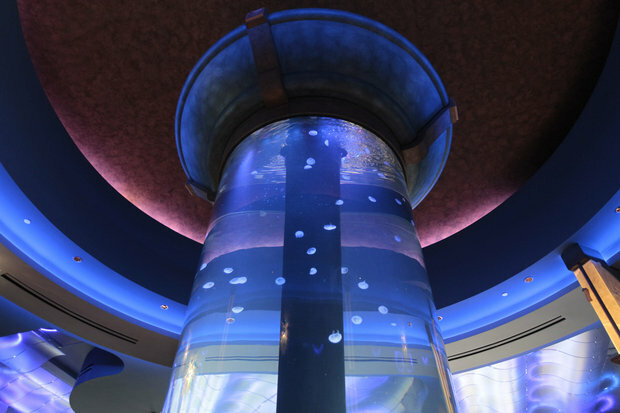 Lexington, Kentucky, this massive 3000-gallon jelly aquarium may be one of the largest owned by a private individual. The tank is housed in the restaurant called the Coba Cocina situated in the Idle Hour Shopping Center in Lexington, KY and is owned by father and son Phil and Lee Greer. Read full article from Advance Aquarist HERE!